Nubya Garcia, Joe Armon-Jones and Mala have each posted the same photograph of themselves on Instagram, sparking rumours of a new project. 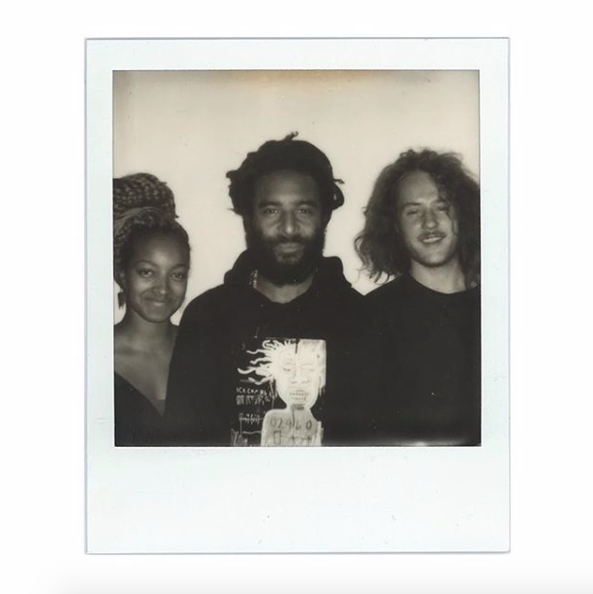 Saxophonist Nubya Garcia, keys player Joe Armon-Jones and dubstep pioneer Mala appear in a polaroid picture, accompanied with the caption, “Untitled. 15.04.19”. It’s no secret that Nubya Garcia and Joe Armon-Jones are inspired by dub – in fact, Joe picked 5 dub tracks for us this week that influenced his debut record, ‘Starting Today’. Check it out whilst we patiently wait for 15 April to come around.